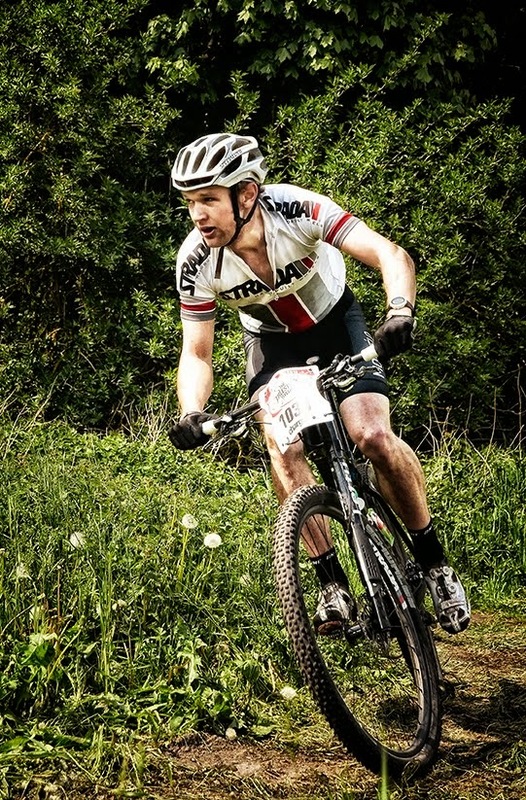 It feels only a short time ago that it was a cold round 1 of the 2012 Brass Monkey's 4hr Xc Enduro Champs, 3 short weeks later it was round 2. The venue was Deepcut Barracks in Surrey, a venue I know well after racing there twice last year. After meet and greets with my fellow racers it was time to line up for the start. A wide starting line with a 200m sprint to a sharp right turn then into the woods, ever since crashing at the Gorrick 100 fast starts have not gone well, I hit the woods inside the top 30, but knowing the course I knew I could make up places quickly. The first lap went well, the course was tough,with few places to recover it was going to be a tough race,the single track sections were fun, and generally in a good condition for the time of year. I settled into the race and rode the second lap by myself. By the end of the second lap I had caught and passed a few riders. The 2hour race started, but luckily due to the longer lap times they had started far enough in front to spread them out, which caused less bottlenecks and effort to pass slower riders. The third, forth and fifth laps were great racing, duelling with "Mr Consistent" Richard Penning for overall race position, it proved to me that maybe gears will be good for my future racing! On the last lap I passed through the pits without stopping, keeping my head down I pushed on hoping to catch a few other racers, to my surprise I managed to catch and pass Simon Lingard. After this I was glad to see the finish! Another good race from the Gorrick crew and i'm really happy with a 6th place, the new gym sessions are making a big difference, and i'm looking forward to the xmas break and the final round.